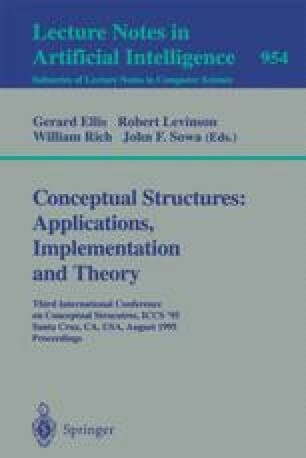 Formal Concept Analysis, developed during the last fifteen years, has been based on the dyadic understanding of a concept constituted by its extension and its intension. The pragmatic philosophy of Charles S. Peirce with his three universal categories, and experiences in data analysis, have suggested a triadic approach to Formal Concept Analysis. This approach starts with the primitive notion of a triadic context defined as a quadruple (G, M, B, Y) where G, M, and B are sets and Y is a ternary relation between G, M, and B, i.e. Y ⊑ G×M×B; the elements of G, M, and B are called objects, attributes, and conditions, respectively, and (g, m,b) ε Y is read: the object g has the attribute m under (or according to) the condition b. A triadic concept of a triadic context (G, M, B, Y) is defined as a triple (A1, A2, A3) with A1× A2sx A3 ⊑ Y which is maximal with respect to component-wise inclusion. The triadic concepts are structured by three quasiorders given by the inclusion order within each of the three components. In analogy to the dyadic case, we discuss how the ordinal structure of the triadic concepts of a triadic context can be analysed and graphically represented. A basic result is that those structures can be understood order-theoretically as “complete trilattices” up to isomorphism.